A huge pod of whales showing off. 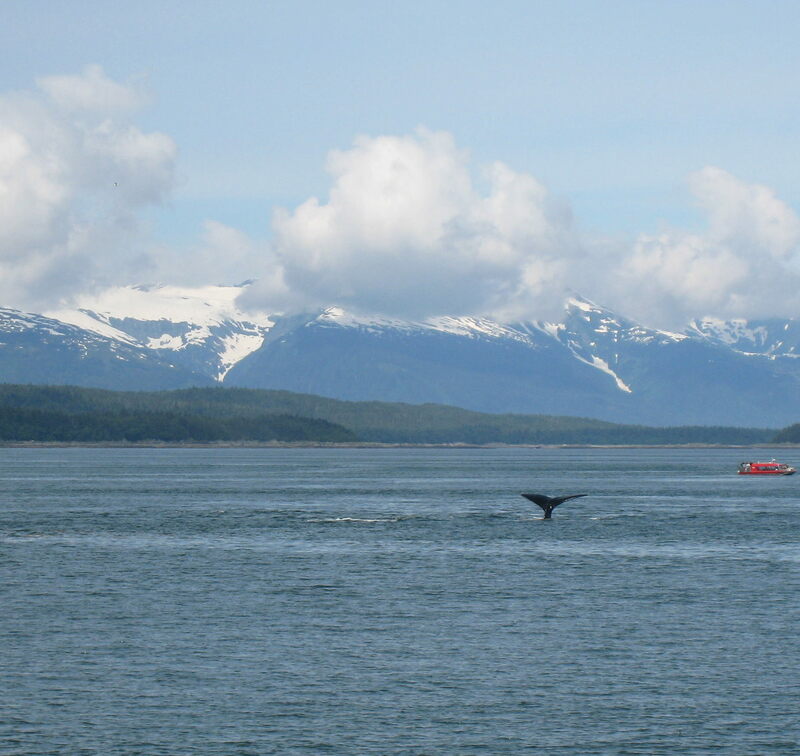 Who doesn’t want to see a real whale tail? 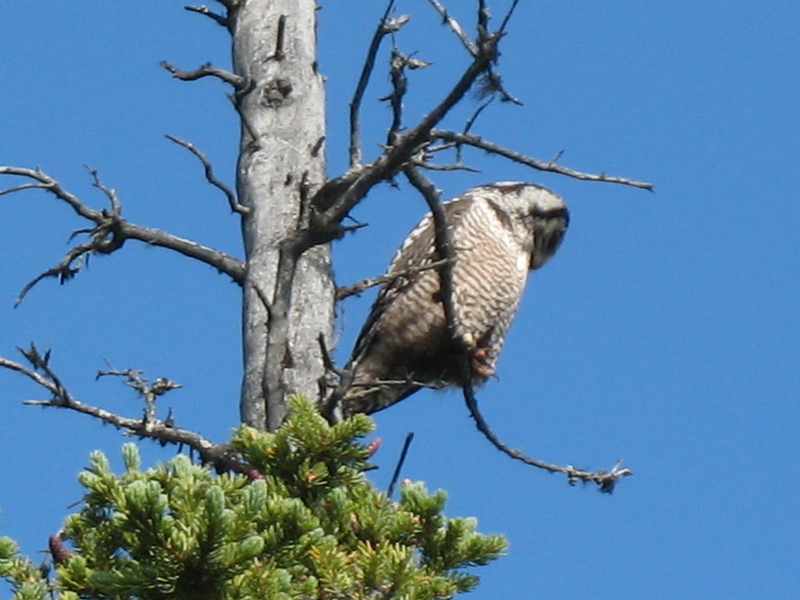 Last week I finished my blog post with a promise to post wild life photos taken in Alaska. 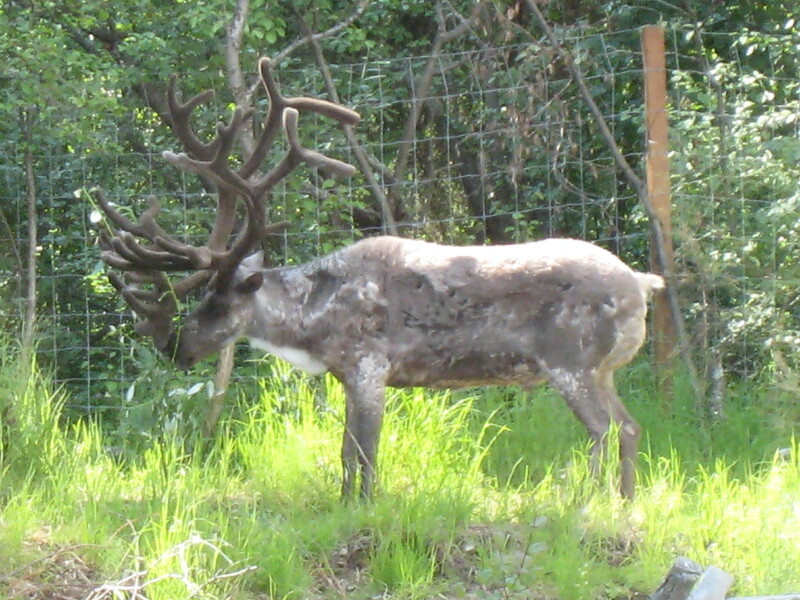 Well, I keep my promise but these photos are a tiny fraction of what Alaska has to offer. Also, all of these were taken in their natural habitat. They were photo opportunities, lucky happenstances of being someplace at the right time with a camera ready to point and shoot. 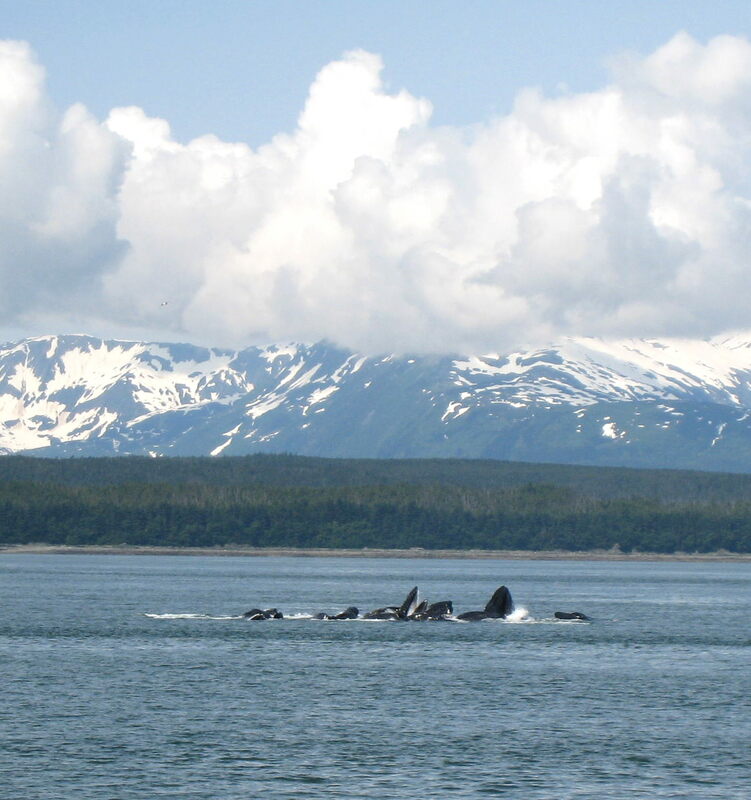 One time I was on a tour of Resurrection Bay, near Seward, AK, and a huge pod of Orcas swam very close. The captain cut the engines and announced we couldn’t move again until they left. The day was cold and drizzly and very overcast. Most of the passengers stayed inside the cabin drinking hot coffee and cocoa. I’d brought warm rain gear and headed out to the deck and watched that family of about 15 Orcas of all sizes romp in weather they obviously enjoyed. Never got a photo. Too entranced with the show. That lasted for about 40 minutes until they did something like a synchronized “farewell” and took off. AMAZING!!! 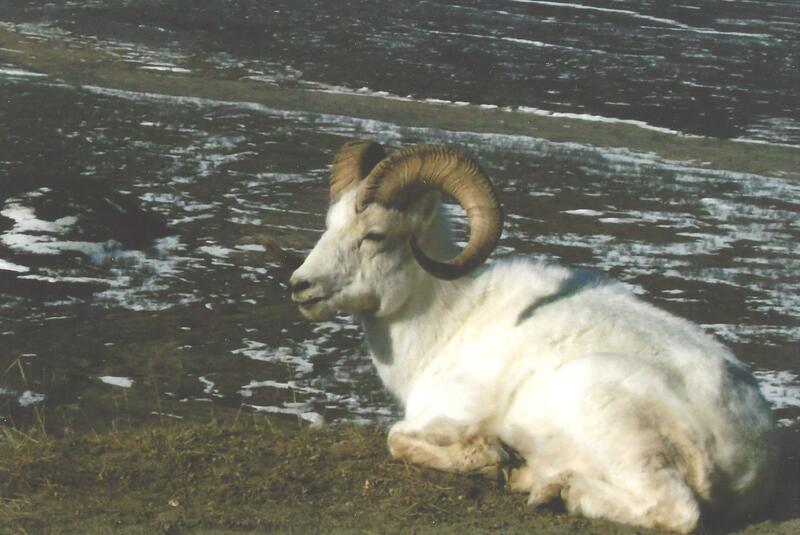 Dahl sheep enjoying warm temps at the roadside in Denali. As I mentioned last week, photos such as these and lucky happenstances while traveling or in life can be the fodder that feeds a writer’s creativity. For those not writers, these sightings and memories of them either captured in our brains or by a camera, might inspire a painting, a collage, a mosaic, a screenplay. Or perhaps most special of all—inspiring others with your memory and retelling. I think that’s part of why I was so happy to learn my friend and her sister loved their trip to Alaska and at least my friend hopes to go again. I’m sure she will. I’ll bring her with me. And that concept inspired elements in the first two books of my Dessert Dames series, but most especially a chapter near the end of the second book, More Than a Trifle, that takes place in Alaska, in a very special place one of the friends decided would be the perfect place for her second marriage—starting it in a place new to both Katy, the friend getting married and her future husband Aidan. 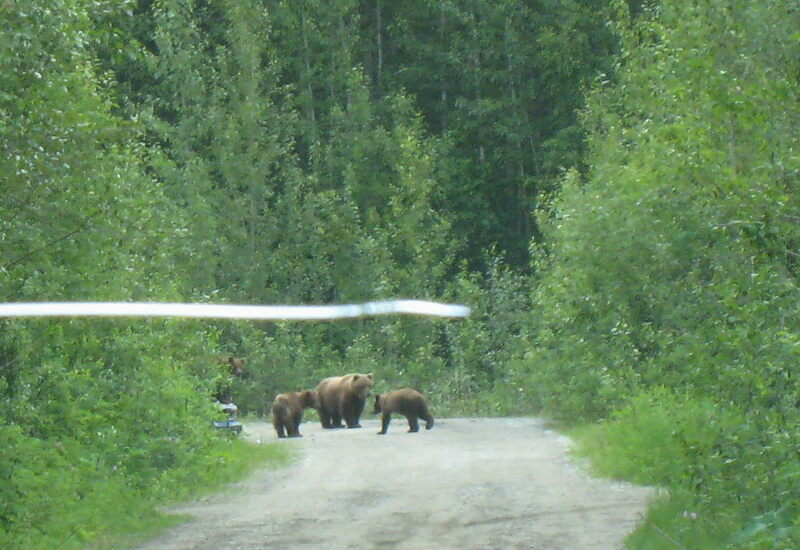 You can see bears anywhere, even in Anchorage. But Katy brings her closet family and friends with her to share the beauty of that place and her second chance at happiness. I loved writing those scenes and all the time I wrote them I was surrounded by photos I’d taken of that place on several different visits to Alaska. Have you ever listened to a friend or family member talk up a place they visited and then got lost in their photos? What did you do with that feeling? Those memories the photos or story embedded in your brain? 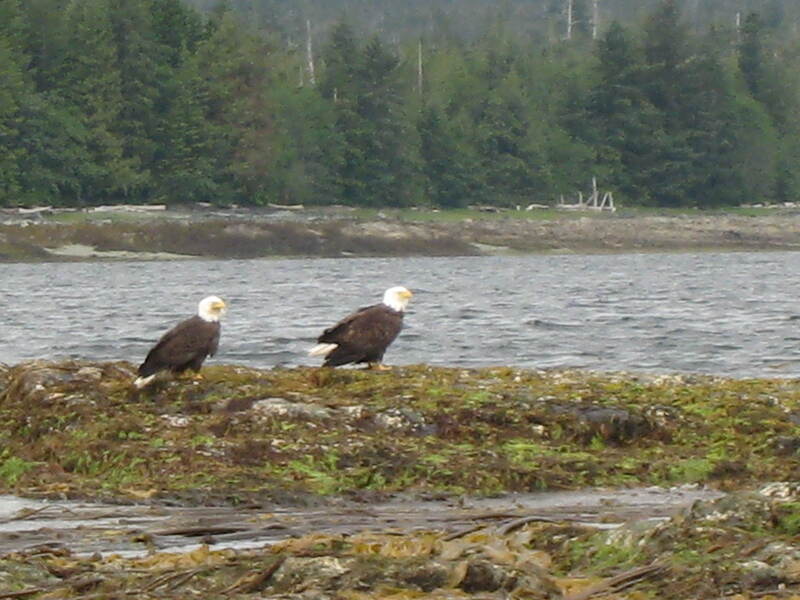 Bald eagles are abundant and always hungry.